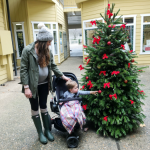 Last Updated: December 17, 2015 By Katie 187 Comments -- Paid Promotion. Disclosure policy here. 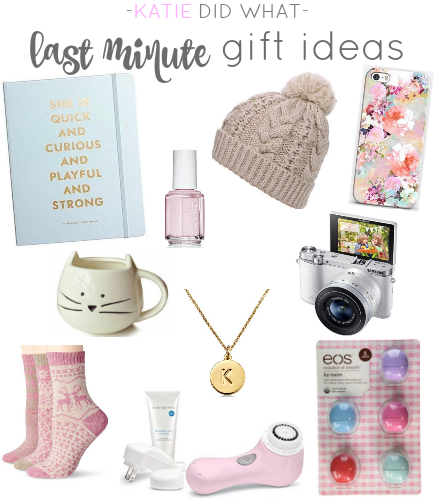 Just a few of my favorite things that I wouldn’t mind receiving, and also would make great last minute gifts for someone on your list! 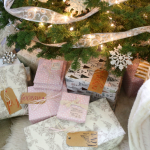 Stocking stuffers are my favorite things, and these would all be perfect for that, too! Today is day 2 of 7 Days of Giveaways, and I’m giving away a $30 Amazon gift card! -Simply leave a comment on this post saying which of the items above is your favorite. -Share on any form of social media (3 max.) of your choice, making sure to link to this post and tag me (all social links in my sidebar)! -Tag a friend in today’s Instagram post mentioning this giveaway and comment below with your Instagram handle, saying you did so. This giveaway is provided solely by me. The winner will be announced on Christmas and contacted by me within 24 hours. Winner then has 72 hours to respond, otherwise a replacement winner will be selected. Prize will be a digital Amazon gift card code. THE GIVEAWAYS CONTINUE: WIN A $50 AMAZON GIFT CARD! 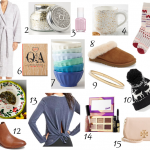 THE FINAL GIVEAWAY DAY: $100 NORDSTROM GIFT CARD! I am in total love with the Samsung NX3000 Wireless Smart 20.3MP Mirrorless Digital Camera with 20-50mm Compact Zoom and Flash, perfect to take anywhere and make many cherished and fun photos with this amazing camera. I tagged my awesome friend on your IG post. My IG name is kymnnected. Thank you. My family loves eos lip balms so that would be my favorite, I always buy some to go in our stockings! I would love to try the cute socks! the kitty mug is SOOO cute! My favorite by far is the camera!! My favorite is the camera. I like all the other prizes too! the camera would be my fav over the rest. Oh my … I cannot decide – I love both the Essie polish and those cute socks! I love the Kate Spade planner. A girl can never have too many planners! The Clarisonic is my favorite.